DUCATI DESMOSEDICI GP11.1. DUCATI DESMOSEDICI GP11.2. SET N2 MOTO 2011. IMBALLO SICURO E PRECISO. PULLING ON PANTS. DUCATI ROSSI MOTOGP 2011. DUCATI GP12 MOTOGP TEST SEPANG 2012 L.E.1008 PCS. WAIT FOR SENDING THE BILL. VALIDO SOLO PER L'ITALIA! CONTATTATEMI PER QUALSIASI RICHIESTA. DUCATI MOTOGP "TEST SEPANG 2011" SOFT TIRES. WAIT FOR SENDING THE BILL. VALIDO SOLO PER L'ITALIA! CONTATTATEMI PER QUALSIASI RICHIESTA. DUCATI DESMOSEDICI GP11.1. LIMITED EDITION. MOTOGP 2011. IMBALLO SICURO E PRECISO. DUCATI MOTOGP 2012. NEW IN BOX - VERY RARE. THE MODEL IS NEW IN ORIGINAL BOX. VENDITORE PROFESSIONALE. DUCATI GP12 TEST SEPANG 2012. SUPER LIMITED EDITION 1008 Pcs. IMBALLO SICURO E PRECISO. DUCATI DESMOSEDICI GP11. MOTOGP TEST VALENCIA 2010. IMBALLO SICURO E PRECISO. 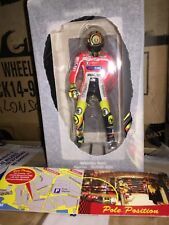 DUCATI MOTOGP 2011 SHOWBIKE LIMITED 4299pcs RARE. WAIT FOR SENDING THE BILL. VALIDO SOLO PER L'ITALIA! CONTATTATEMI PER QUALSIASI RICHIESTA. GP11.2 VALENCIA 2011 TRIBUTO A MARCO SIMONCELLI NEW. WAIT FOR SENDING THE BILL. VALIDO SOLO PER L'ITALIA! CONTATTATEMI PER QUALSIASI RICHIESTA. TEST DUCATI GP11 VALENCIA 2010. DUCATI GP11 TEST. PER L'ITALIA. LIMITED EDITION. NEW IN THE ORIGINAL BOX. TEST SEPANG V. ROSSI. DUCATI MOTOGP 2012 TEST SEPANG. NEW IN BOX - VERY RARE. THE MODEL IS NEW IN ORIGINAL BOX. VENDITORE PROFESSIONALE. DUCATI DESMOSEDICI GP11.2. LIMITED EDITION. MOTOGP 2011. IMBALLO SICURO E PRECISO. DUCATI GP11 MOTOGP TEST VALENCIA 2010 NEW. WAIT FOR SENDING THE BILL. VALIDO SOLO PER L'ITALIA! CONTATTATEMI PER QUALSIASI RICHIESTA. GP MUGELLO 2012 COD 398120086. DUCATI DESMOSEDICI GP11.2 MOTOGP 2011 NEW. WAIT FOR SENDING THE BILL. VALIDO SOLO PER L'ITALIA! CONTATTATEMI PER QUALSIASI RICHIESTA. DUCATI UNVEILING 2011. IMBALLO SICURO E PRECISO. WAIT FOR SENDING THE BILL. VALIDO SOLO PER L'ITALIA! WAIT FOR SENDING THE BILL. VALIDO SOLO PER L'ITALIA! CONTATTATEMI PER QUALSIASI RICHIESTA. TEST VALENCIA 2010. DUCATI MOTOGP. 2012 COD 398120046. DUCATI MOTOGP. TEST DUCATI GP11 VALENCIA 2010. DUCATI GP11 TEST. PER L'ITALIA. NEW IN THE ORIGINAL BOX. 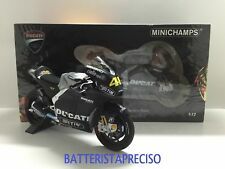 WINNER GP AUSTRALIA MOTOGP 2009 NEW. WAIT FOR SENDING THE BILL. VALIDO SOLO PER L'ITALIA! CONTATTATEMI PER QUALSIASI RICHIESTA. 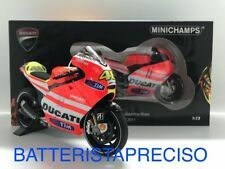 DUCATI DESMOSEDICI GP11.1 MOTOGP 2011 NEW. WAIT FOR SENDING THE BILL. VALIDO SOLO PER L'ITALIA! CONTATTATEMI PER QUALSIASI RICHIESTA. TEST DUCATI GP11 VALENCIA 2010. IMBALLO SICURO E PRECISO. PER L'ITALIA. NEW IN THE ORIGINAL BOX. LIVRABLE SOUS 2 à 4 SEMAINES. MOTOGP 2010 DUCATI TEST VALENCIA NEW. WAIT FOR SENDING THE BILL. VALIDO SOLO PER L'ITALIA! 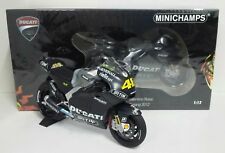 DUCATI DESMOSEDICI MOTOGP 2013 LIMITED EDITION. WAIT FOR SENDING THE BILL. VALIDO SOLO PER L'ITALIA! CONTATTATEMI PER QUALSIASI RICHIESTA. DESMOSEDICI GP11.2 MOTOGP 2011. LIMITED EDITION 264 PCS NEW. WAIT FOR SENDING THE BILL. VALIDO SOLO PER L'ITALIA! CONTATTATEMI PER QUALSIASI RICHIESTA. PITBOARDS BOX NEW -RARE-. WAIT FOR SENDING THE BILL. VALIDO SOLO PER L'ITALIA! CONTATTATEMI PER QUALSIASI RICHIESTA. 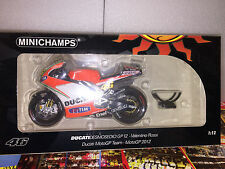 DUCATI DESMOSEDICI GP13 MOTOGP 2013 LIMITED EDITION. WAIT FOR SENDING THE BILL. VALIDO SOLO PER L'ITALIA! CONTATTATEMI PER QUALSIASI RICHIESTA. DESMOSEDICI GP11.1 MOTOGP 2011. LIMITED EDITION 264 PCS NEW. WAIT FOR SENDING THE BILL. VALIDO SOLO PER L'ITALIA! CONTATTATEMI PER QUALSIASI RICHIESTA. Tipo: Desmosedici GP13. No.11, Moto GP 2013. Ben impacchettata e articoli imballati imbottiti. I tuoi benefici. Scala: 1:12. Rally 1:43. Tipo: Desmosedici GP13. No.29, Moto GP 2013. Ben impacchettata e articoli imballati imbottiti. I tuoi benefici. Scala: 1:12. Rally 1:43.